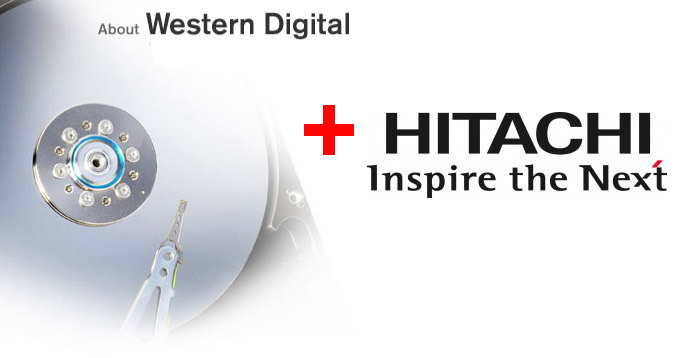 Western Digital has announced today that will acquire one of its primary competitors, Hitachi Global Storage Technologies (Hitachi GST), the HDD subsidiary of Hitachi, Ltd. The deal is valued at approximately $4.3 billion and is expected to close during the third calendar quarter of 2011. Under the terms of the agreement, WD will acquire Hitachi GST for $3.5 billion in cash and 25 million WD common shares valued at $750 million, based on a WD closing stock price of $30.01 as of March 4, 2011. Hitachi, Ltd. will own 10% percent part of Western Digital and will have two representatives to the WD board of directors. The transaction has been approved by the board of directors of each company and is expected to close during the third calendar quarter of 2011, subject to customary closing conditions, including regulatory approvals. The “new extended” Western Digital company will remain its headquartered in Irvine, California and John Coyne as a chief executive officer of WD, Tim Leyden chief operating officer and Wolfgang Nickl chief financial officer, while the president and chief executive officer of Hitachi GST – Steve Milligan, will join WD at closing as president, reporting to John Coyne.